A national foundation that supports liberal arts education has awarded nearly $150,000 to Bates and Bowdoin colleges for a collaborative effort to strengthen students’ quantitative reasoning skills. The New York-based Teagle Foundation has granted the colleges $148,780 for a three-year project exploring effective ways to teach quantitative reasoning. The foundation’s Systematic Improvement in Student Learning initiative will support the schools’ efforts to develop techniques for assessing students’ progress in such reasoning. It’s hoped that these assessments will provide a basis for developing best practices in curriculum and teaching techniques. “Quantitative reasoning” refers to the application of quantitative skills, such as computation, in the interpretation of ideas and the formation of arguments in any subject. Effective quantitative reasoning requires the development of such mental habits as thinking logically and basing decisions upon evidence. “We live in a technologically driven society, and students must be able to reason quantitatively in order to participate fully in that society,” says Matt Côté, who is coordinating the project for Bates College. 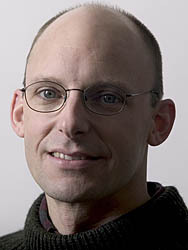 Côté is an associate professor of chemistry and associate dean of the faculty. The two colleges plan to measure the reasoning skills of students at three points in their academic careers: upon arrival as first-year students, near the completion of their first quantitative reasoning course and just prior to graduation. At each stage, a combination of quantitative and qualitative tools will be used to gauge students’ skills and their effectiveness in applying those skills when reasoning from evidence. The grant comes at a crucial time for both schools, says Nancy Jennings, chair of Bowdoin’s education department. “We’ve already done preliminary work in making a transition in our general education requirements from a focus on quantitative skills to quantitative reasoning,” says Jennings. The Teagle support will also advance the colleges’ participation in the regional New England Consortium on Assessment and Student Learning initiative and, more broadly, enable Bowdoin and Bates to share their findings with wider national audiences. The Teagle Foundation provides leadership for liberal education, marshalling intellectual and financial resources needed to ensure student access to challenging, wide-ranging and enriching college educations. The foundation emphasizes measurement-based approaches to educational improvements and the broad dissemination of project results. Learn more.